No one is ever truly prepared for a job interview. I certainly have crashed and burned in a few. Some people just interview better than others and all of us can experience a degree of stage fright rendering us a temporary imbecile. That said, I am continually amazed that applicants keep committing certain mistakes. Many of those mistakes defy common sense—and yet, they rear their ugly heads time and time again. After a recent oral board experience, I decided it was time to identify the Big Five Mistakes, as I like to call them, in the hopes that prospective job applicants will avoid committing them in their next interview. 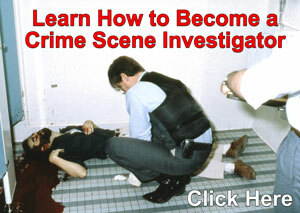 Interviews for criminalists are somewhat different from those for other law-enforcement jobs. Consequently, there is a need to prepare properly for the event. Obviously, all interviews are intended to be challenging. They are designed to cull the lesser candidates from the group while providing an opportunity for the good candidates to shine. Knowing that, good candidates prepare themselves in such a way as to minimize these mistakes when highlighting their attributes. This list is far from exhaustive and merely represents the common mistakes that continue to befuddle me when I conduct interviews. I can't believe I actually have to write this down, but there are a number of applicants that apparently have no understanding of the job they seek. This is bad enough when the applicant has no work experience, but it is inexcusable when the applicant has a longer work history than some of the interviewers. Case in point: In the last three fingerprint-examiner positions I sat in on, there were several applicants who could not describe or define the meaning of the ACE-V acronym. Not even the words making up the acronym! What's worse, some of these applicants were examiners in large agencies for years and had testified as fingerprint experts in court. Another applicant claimed to be an expert bloodstain pattern analyst but couldn't describe one thing an investigator might determine by examining bloodstains at a crime scene. Not one thing! It should go without saying that if you are applying as a forensic chemist, you need to have at least a passing understanding of chemistry. Your knowledge base must mirror your resume. Applicants should keep abreast of developments within their field and take some time to anticipate questions they will likely be asked by the board. It is akin to preparing for expert testimony in court. You will be aided greatly if you can take some time to understand the nature of the work you will be asked to perform. The only thing worse than not knowing anything about the job you are applying for is making up poor excuses for it. This is especially true if, as an applicant, you have used the same excuse in previous interviews with other agencies. Comments like, “I just moved and all my books are in storage,” or “I meant to look that up before I came,” are not ringing endorsements for an applicant claiming to be interested in a job. Poor excuses are disturbing indicators of an employee's future performance and employers generally view them critically. Another disturbing thing I have witnessed is an attempt to fool employers by offering false claims. Simply put, one tries to B.S. an expert. Some people feel compelled to have an answer I suppose, even if they need to make it up. However, the applicant would be wise to remember that they may be critiqued by highly trained individuals who will recognize a trumped up answer when they hear it. Bottom line: Be prepared to answer questions, or be humble enough to simply admit you cannot answer the questions. There is nothing necessarily wrong with answering, “I don't know.” It certainly speaks much better of your character than trying to pull the wool over the eyes of your future employer. The Internet is probably one of the most under-utilized tools when it comes to interview preparation. With a few simple keystrokes one can find a plethora of information regarding their potential employer. Crime statistics, community populations, number of officers, command structure, etc. typically can all be discovered on an agency website. Many agencies even post their annual reports on their websites. Why is this information relevant? Actually it isn't, but oral boards like to ask questions such as, “What can you tell us about our agency?” to test the applicant's interest in the position. If the applicant is really interested in the position, they will likely know something about the department and the jurisdiction in which they will be working (or so the theory goes, that is). So, take some time to familiarize yourself with the agency. Do a Google search of local news stories or search for research conducted by that laboratory. The fact that you responded to the job announcement suggests you feel qualified and capable of doing the job. Being offered a chance to interview for that job indicates the employer feels you may be qualified and capable as well. This is good news. You've passed some pretty large hurdles in a profession that typically sees hundreds of applicants for every position. So after surmounting all those odds, why do some applicants fail to sell themselves? Some may believe that they don't need to sell themselves. Others likely feel that their résumé speaks for itself. Oftentimes however, it isn't enough to have a flashy résumé. In almost every interview, you will be competing against applicants having similar, if not better, job qualifications. So how does one sell themselves to other professionals? One effective tool is the use of a portfolio. Portfolios are used frequently in professions whose work product is visual in nature such as engineering, architecture, photography, and interior design. 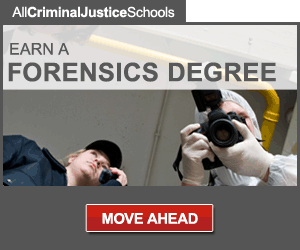 Forensic science is another such profession that can make good use of portfolios depending on the job description. For example, if one is applying for a general crime-scene investigator position, a portfolio may be used to demonstrate your capabilities in photography, sketching, latent lifts, note taking, and report writing. Electronic portfolios may also include videos and reconstructions you have created. Employers typically love portfolios because they can see the applicant's capabilities firsthand. If done well, it may be held in higher regard than experience alone. As it is a representation of your best work, however, applicants should take care to produce a professional-looking product. Out-of-focus photographs, and incomplete sketches or notes will likely be viewed negatively by a prospective employer. Carefully select the materials you choose to include to minimize graphic or inappropriate images and subject matter unless such material is directly relevant to the position you are seeking. This is another one of those mistakes that should never come to pass and can easily be eliminated with a healthy dose of common sense. Presentation can be discussed in terms of both physical appearance and demeanor. Now, I am not at all suggesting that only professional models apply to these positions. If that was the case, I would never have been hired. When I talk about physical appearance, I am speaking of things you can manage, such as your selection of clothing and general cleanliness. It should go without saying that you will improve your chances of being taken seriously if you appear to take the interview seriously. Wearing wrinkled or casual styled clothing, excessive makeup or jewelry, and extremely bright or colorful clothing tend to distract from the rest of your presentation. Remember, you want your interview responses to impart shock and awe—not your wardrobe. I remember one applicant with extremely long fake fingernails and all I could think of was how are you going to wear latex gloves? Another important aspect of your presentation is your demeanor. By that, I mean the way you carry yourself during an interview. We all know that people's personalities vary, but there are still clear lines of professionalism that should not be crossed. Body language can suggest a lot about an individual, and police investigators generally pay a lot of attention to it in their daily work. That radar won't be turned off simply because they are in an interview. Slouching, chewing gum, or condescending comments will take away from your overall impression to the interviewers. I once had an applicant literally put his foot up on the table while reclining with his arms behind his head during questioning. It told me that his flippant and casual demeanor would likely translate into a similar work attitude. I wish it was that simple, but for some reason these mistakes continue to occur in employment interviews all over this country. Job interviews are hard enough by design, so you shouldn't hinder your efforts by committing the mistakes listed above. The good news is that these mistakes are easily avoidable. Applicants just need to take some time to prepare for the job interview and pre-plan their entire presentation. Every hour one spends polishing their presentation will pay big dividends during the interview and minimize any shortfalls that may materialize. After all, a polished presentation tells your employer you're confident and capable to handle the work at hand. The key is taking the process seriously and demonstrating to the interview board that you don't wish to waste anyone's time. If you are one of the lucky few who manage to make it to the interview I hope you will consider these mistakes and do all that you can to avoid them.